Creating any landscape decor is fun and awesome to try. Doing it with potted plants and flowers is really creative and delightful. When you look at your front yard landscape do you see it as welcoming and warm or barren and cold? With the holidays coming and guests arriving more than normal, now is the time to take a check on the pots you have displayed and start to consider the pottery you need to add. 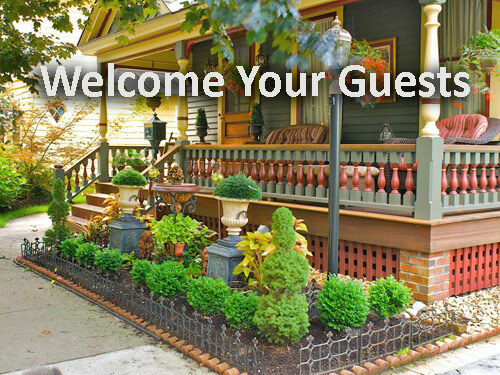 There is nothing more inviting to your guests than a wonderful display of flowerpots or houseplants. 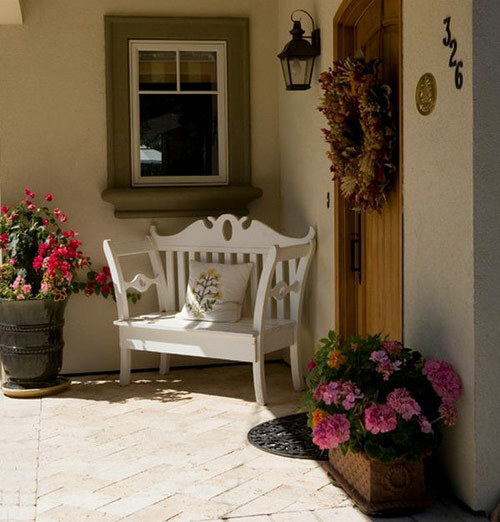 We know how much you care about the inside of your home, so now is the time to make sure the outside shows the same attention. Potted garden containers are really just mini gardens with in a garden. 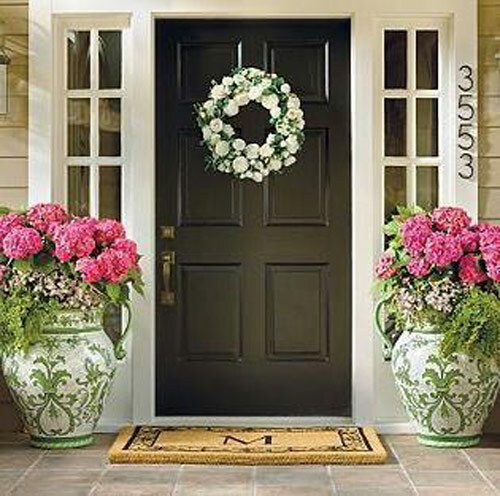 When placed near the front door entryway or porch it's your way of saying welcome with potted flowers that not only look lovely but smell pleasing. 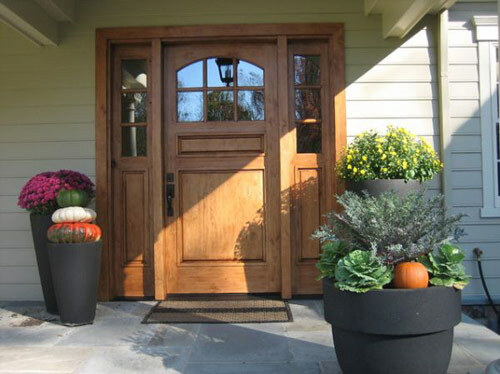 Select pottery that matches or compliments your exterior. Maybe you have a large porch with white wicker furniture and lace. Fill those planters with pinks, lavender and lots of green ferns to compliment and complete the look. 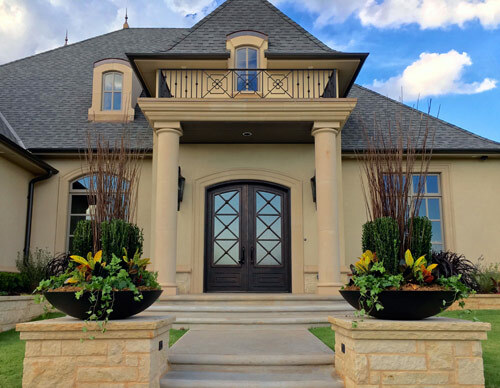 If you have a walkway that has matching pillars on each side of the entryway this is the time to make sure they are topped with large garden bowls overflowing with colorful flowers and pot toppers. Maybe you don't have access to a garden hose, then pot them with succulents or cacti, that don't take a lot of care. Create a elegant and stylish look that is simple yet sensational. By adding tons of colored flowers to your garden containers you create a burst of beauty that is always pleasing to the eyes and so welcoming to your guests. Always add a sweet fragrant plant to welcome your guests with perfume that says.... LOVELY! If you want to decorate them for the holidays that is fun and creative also. Fill the pots with gourds and mini pumpkins for fall or evergreens and branches with red berries for Christmas. Lastly, keep the potted flowers and plants you display cleaned up. Don't let them die off and clutter up the planters. Keep them dead headed and new flowers re-potted so that they look lovely all season long. Nothing says we don't care what you think then garden pottery filled with dead or dying flowers and plants.